Request our complete guides, free! 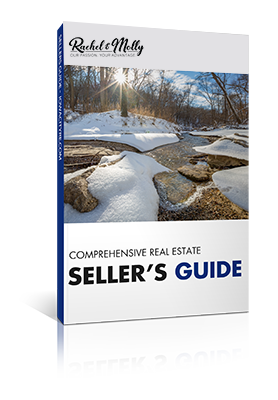 You’ll receive a top down picture of nearly everything you need to consider as a real estate buyer or seller in any market. Get more informed by requesting our guides below! My wife and I weren’t expecting to move when we did, but when we saw our dream home come up for sale, we knew we had to jump at the opportunity. Molly made the process of selling our existing home and moving into our dream home extremely easy! What we thought would be a stressful process turned out to be very painless and enjoyable due to Molly’s professionalism, expertise, and over all passion for what she does. You won’t be disappointed allowing Molly to help you with your real estate needs! Rachel and Molly go above and beyond in everything they do. They are very professional, knowledgeable, and communicative. Whether you are looking to buy or sell, I would HIGHLY recommend them! You will not be disappointed! Rachel and Molly provided us with very professional, personalized service. They were extremely responsive and so helpful as we sold this property living out of state. From the moment we first met to the finalized sale, they were so helpful every step along the way. We highly recommend them to anyone looking to buy or sell! Rachel made the whole complicated process of selling and buying a home extremely easy. From our first meeting where she explained each step in detail, to the very end when she had a gift basket waiting for us at our new home, she was a joy to work with. She’s at least 10 minutes early to everything all the time and she responds to any text, email or call immediately. Rachel is super knowledgable about each step of the process and did a great job getting both properties to closing. She exceeded our expectations and we will definitely work with her in the future. Molly was nothing short of amazing. She had excellent advice, was calm during an issue with a potential buyer, and even helped us find vendors to do repairs. As an out of town seller, she was the on site contact for the contractors. She made sure every detail was seen through to the end. We would only use her in the future for any home buying/selling needs. I primarily worked with Rachel on this purchase as Molly was unavailable. Rachel was wonderful. I would highly recommend her! She was very personable, and professional. As a first time home buyer I was on a learning curve, and she was ready to answer all my questions! She serves as a great advocate for a buyer to make sure they are getting what they want and doesn’t leave any details out. She was also very easy to get a hold of and responded in a timely manner. I would highly recommend Rachel and Molly to anyone looking into buying a home-you won’t regret it! Home buying process completely seamless! Molly and Rachel made the entire home buying process completely seamless. From searching to closing, the path was paved and cleared for us. Response time to texts, phone calls, and emails was immediate. Their knowledge of every aspect was more than satisfactory. They also have extensive networking with multiple contractors, landscaping companies, and businesses in local area was very helpful. One thing we really appreciated was the complete honesty they brought to the table. They aren’t just out to make a buck, and actually care about your families future in a home. Anyone looking for a realtor in this area will not be disappointed with Molly and Rachel. Guaranteed. Molly is an incredibly hard worker, and the pride and integrity that she takes in her work is obvious. She goes above and beyond for her clients and makes an effort to truly understand what they are looking for in a home. She was always available to answer our questions and I trusted her input and suggestions 100% every step of the way. She sold our home faster than we thought we would, and helped us find exactly what we were looking for in a new home. I would recommend her to anyone looking to make the buying/selling process easy. She knows what she’s doing! Rachel was amazing to work with. As a first time buyer I’ve heard horror stories about working with realtors so I was very impressed with my experience. Rachel was so helpful when it came to both the negotiation and inspection process and made sure that I felt good about all of the decisions. And on top of that she was so genuine and even took time out of her schedule to stop by and check out all the updates I’d done after purchasing! You can tell this is more than just a job to her and that she really enjoys it! Highly recommended! Rachel was amazing with the purchase of our first home. She met with us initially to help us recognize the elements that were most important to us, and was easy to connect with. She responded to emails almost instantly, and met at odd hours, always willing to accommodate our work schedules. She knew the area and understood the quick spring market, helping us secure the home we wanted just hours after we toured it. As a bonus, Rachel provided us with all our documentation on an USB so we have everything in one spot. Forever grateful Rachel! We had a great experience. Couldn’t have gone smoother. 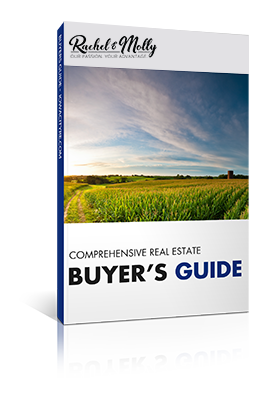 Excellent advice on how to prep our home for sale. Both Molly and Rachel were fantastic to work with! Both Molly and Rachel were fantastic to work with. It was my first time buying a house so it was very new territory for me, and scary, but they both immediately put me at ease and I knew I was in good hands the minute we met. I primarily worked with Molly after our initial meeting, and I can’t say enough great things about her. She is warm, kind, incredibly helpful, and responsive. She is extremely smart and knowledgeable, and was able to explain everything to me in a way I was able to quickly understand without feeling lost in the details. I felt like I had a true support system the whole process. They even gave me a cute little “welcome home” gift when I first stepped into my house as a new homeowner! And, they followed up to make sure I was getting settled in ok, which meant a lot to me. Many thanks again to both of them! Molly made the process easy and quick! Molly was pleasant to work with, very knowledgeable and professional, and very responsive. She made the process easy and quick. She was helpful in every way and walked us through everything we had to do. She was kid friendly and assisted us with viewings with kids in tow. I couldn’t have hoped for a better experience. Rachel made us feel at ease! As a first time home buyer we didn’t really know where to start or what to expect but from the very first meeting we had with Rachel she made us feel at ease. Anything we didn’t understand she walked through with us and took care of everything we needed. Even after closing she has continued to stay in touch and has been a great resource for any questions or concerns we have had! I would definitely recommend her as a realtor to anyone looking to purchase or sell their home she makes you feel like you are her only client and is very flexible! Working with Rachel has been great. She is warm, genuine, and very easy to talk to. She is also detail-oriented and competent about all aspects of real estate. She was always available via text, email, or phone at pretty much any time of day or night. Rachel took the time to show us more than a dozen houses from areas as far-ranging as Riverside to Solon. Finally, we saw a great home in Iowa City and Rachel helped us move fast (we bid that very same day along with 4 other buyers!) by quickly preparing our offer documents. After a nervous day of waiting, Rachel called us at 10 pm that evening to tell us we had won the bidding process and the house was ours! She was genuinely excited for us. The difference between a pro and an amateur, IHMO, is looking after the little details. And with Rachel, she really does that. At closing she gave us a thumb drive with all of our important home docs archived on it. She sent us an email about week before move-in with contact info for all local utilities. She recommended very competent home inspectors and moving companies. She even left a gift basket for us in our new home the day before we moved in. We can both endorse and recommend Rachel without reservation if you need real estate help! Molly is very professional and personable! Very knowledgeable on the buying and selling sides. Very responsive and easy to work with. Makes buying a home and selling a home a seamless process. You can’t go wrong with Molly! My place sold in under a month! Rachel assisted me in selling my home last year and made it very easy. On our first meeting, Rachel came to my place and gave me pointers and recommendations on what I should fix, touch up, replace or remove prior to taking pictures and listing. 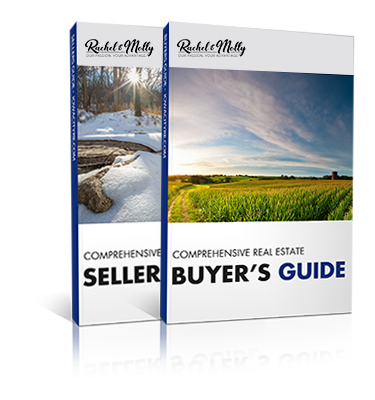 Once I had completed my checklist and was ready for listing, Rachel helped me determine the right listing price. My place sold in under a month and I think that has a lot to do with Rachel determining the right price. After everything, I had a great experience working with Rachel. She made the process easy and painless. I was shocked when she told us what she wanted to sell our house for. I never thought we would get that much for it. When our house sold in 4 hours after listing it for more than the listing price, we were beyond happy but a little stressed out, because now we had to find a new house fast! Molly was extremely helpful in finding us a new house in a short amount of time, and she went above and beyond to find us places and meet us there at any hour of the day. We finally decided on a house and absolutely love it. Molly was a great help every step of the way, and we would strongly recommend her to anyone looking for real estate help. We worked with Molly to buy our first home. My wife and I both have very type A personalities. Therefore, we cannot say enough about how patient, understanding, helpful, and wonderful it was to work with Molly. She’s extremely responsive to emails, phone calls, texts, etc. The level of service that we received was unbelievable and put our mind at ease. She literally helped us through every step of the home buying and customization process. Molly also fought for us to ensure we got what we wanted for the best possible price. Despite our NUMEROUS questions, we never felt as though we were an annoyance or unimportant. I could go on and on about how much we loved working with Molly. We recommend her to anyone that will listen! We had a great experience with Rachel. She was wonderful at listening to what we wanted and showing us great homes within our budget. Our closing process was seamless! She was so helpful and patient in teaching the steps involved with buying a house and her experience really guided us in the right direction through any hurdles we may have faced during the purchase of our home. Molly’s attentiveness and efficiency in responding to any phone calls, emails, etc. was truly impressive and I would highly recommend Molly for any real estate needs you may have. Rachel has represented us numerous times. From showing us rental properties, helping us find fixer uppers, and from the purchase and sale of our home. She can do it all, and with a smile on her face. We would highly recommend her for any Real Estate transactions that you may need. I highly would recommend Rachel Barnes to anyone looking to buy or sell a house. Whenever we had a question about anything, we could text Rachel and have it answered promptly (even evenings and weekends). Her knowledge and dedication to her profession made her very trustworthy and extremely easy to work with. Definitely 5 stars!! She genuinely cares about the experience! Rachel made buying our first home the easiest most pleasurable experience! Not only does she genuinely care about the experience and finding the right home but she is extremely knowledgeable and answered all of our questions or found the answer immediately! Buying or house was a easy and smooth as you could ask for, we are very very happy and would do it again in a heartbeat thanks to Rachel! Our Minnesota based firm required a smaller office/warehouse facility in Iowa City to support our work in the area. I was fortunate to locate Rachel Barnes, a commercial real estate agent in Iowa City. I flew in for a day to see the building options available. Rachel lined up a half dozen sites to visit and gave me info on a few more buildings. necessaries prepared in advance. We are happy with our new facility and appreciate Rachel’s good work in helping us acquire it. M Anderson,	CFO @ CMA/Ideacom Inc.